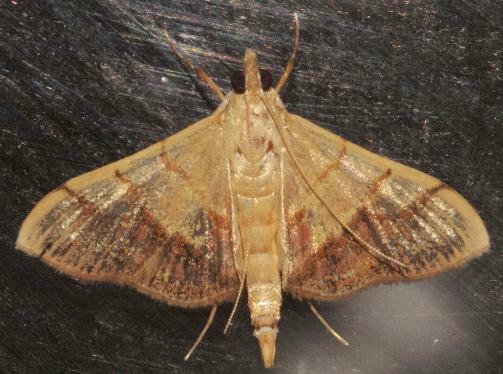 The adult moth of this species has pale brown wings, The forewings each have brown transverse lines, one single, and another pair that meet on the hind-margin to form a 'V' shape. The hindwings each have two transverse brown lines. The forewings have recurved wing-tips. The hindwing margins each have two shallow angles. The wingspan is about 2 cms. 1898 (Part 1), p. 635, No. 3.